With the final weekend of the Calgary Glenmore race upon us, everyobody involved will be making their final push to the finish line. I will be out with Diane today knocking on doors and will continue on over the weekend with whatever needs to be done. This will be a close race due to the number of candidates. My prediction.... that the Liberals will not win. When they lose Monday...Taber will get its mascot back. Good luck to all...it has been a blast! Once again you bring a smile to my face. You were at last night's forum were you not? I think I spotted you, but am not sure. I see Braid and others are commenting on her excellent display of honesty and my youtube video of it certainly is getting good traffic. I expect the weekend editorials should be fun on this one. There has to be some sort of counterspin or excuse for this one isn't there? Ahh well you missed a good show last night. Probably not very pleasant though for DCU supporters as Don Braid has pointed out. Cory, I can't speak for her or the party, but in my opinion... there is a reason that the people elect you as a a PC/Lib/WAP/SC etc. If you disagree and want to sit as an independent, then RUN as an independent. This is a crucial flaw in Canada's party system. I wish I had the answers, but this issue is not a PC one alone. I posted the highlight to begin with. :-) The main point being that Diane has made it clear that she will not be able to represent the constituency and she said so herself. Paul and Avalon have been making a case for themselves for nearly a month now on a variety of issues. Agree with them or not on their individual stands on issues, at least they will be able to take such stands on behalf of the constituents. If I get time I will be posting more of Paul's responses to questions. It takes some time to go through the video and pull out the important portions. As you well know, all of us partisan wonks are pretty busy in these final days. It does not matter if Diane get's elected or not the minute she has an independent thought she will get the boot. I know of a guy in Calgary who followed all the rules and won his nomination. Even the nominating committee who was appointed by the party head office wrote that it was done by the books. However, that did not matter. I hope Paul wins, but, if he does not it means nothing. This is a new party and in 1987 Reform did not win a seat and in 1993 they were the offical opposition. I am a patient man. Victory for Albertans will be coming, especially if Mark Dyrholm wins the leadership. Is Ed Stelmach from Taber? Must be a younger picture of him LOL. Like the Friday laughs, good luck with your candidate in the by election it has been a blast with the witty posts. As always, I have a healthy respect for all of you and your party. I appreciate your passions and this type of fire is what Alberta needs....regardless of your party. 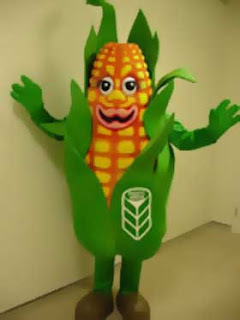 Corny... "Corny"..HA! I love it..
Will the Saddledome really be built downtown?